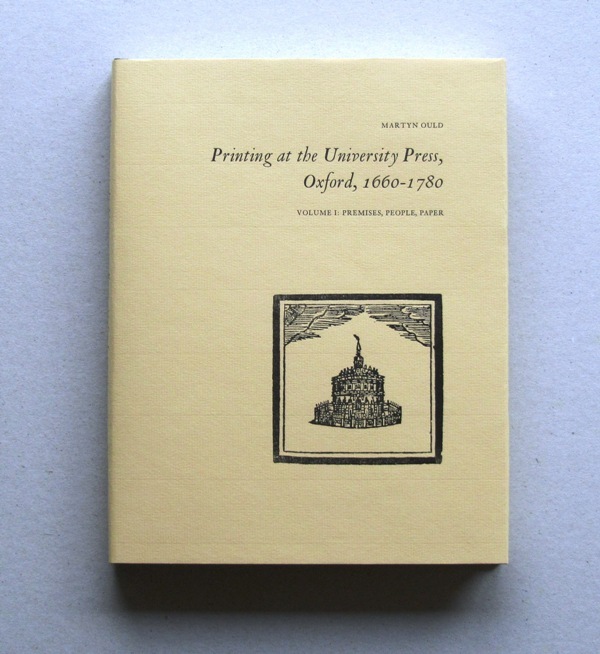 Views of the standard edition of volume I of Printing at the University Press, Oxford, 1660-1780. The standard copies are bound in full brown cloth with a spine label, and wrapped in a printed jacket of Hahnemühle Bugra Bütten. Copyright © Martyn Ould 2016.